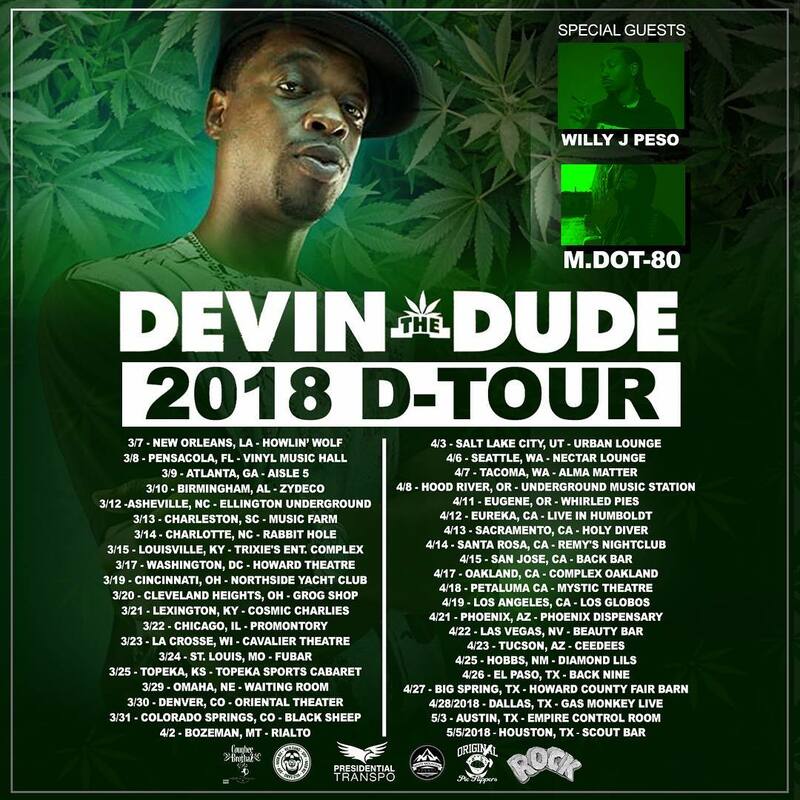 Devin The Dude Hits The Road For “D-Tour” Come check out Devin and smoke with a legend! Devin the Dude hits the road again in his new tour “D-Tour”. The Houston Hip Hop legend has kicked off the movement to a smoking start with back to back sold out shows. Check out Devin’s tour schedule bellow and be sure to get your tickets in advanced as they are flying fast… Enjoy all Devin’s classic hits as well as his new music off the album “Acoustic Levitation”. The Tour is brought to you buy Rock Nutrients the most advanced cannabis nutrients in the world. Rock your crop and push your plant to its highest abilities by using Rock Nutrients.